One of the most iconic symbols of Valentine’s Day are conversation hearts. They come in many colors with many sayings, and are so adorably cute! 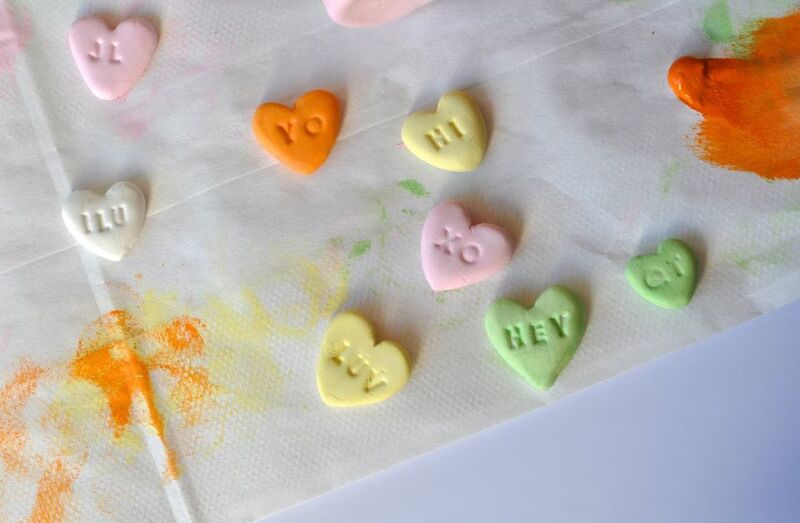 My conversation heart-eating days are long gone, but that doesn’t mean I can’t make some fun non-edible hearts! 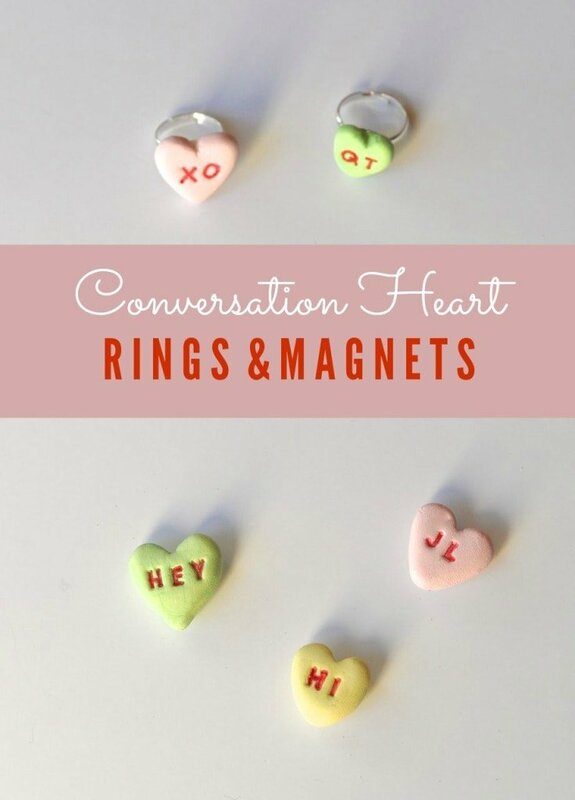 I created some adorable conversation heart rings and magnets out of modeling clay. They are fun, easy enough to do with your kids, and look great! You can get the full tutorial over at Live. Craft. Love. I’d love for you to stop by and say hi!